Pope Francis has honored the 49-year-old Mexican actress, awarding her the Olive Medal of Peace at a Vatican event to promote the Scholas Occurrentes foundation. In addition to Hayek, Richard Gere and George Clooney and Salma Hayek with the Olive Medal of Peace in an event. 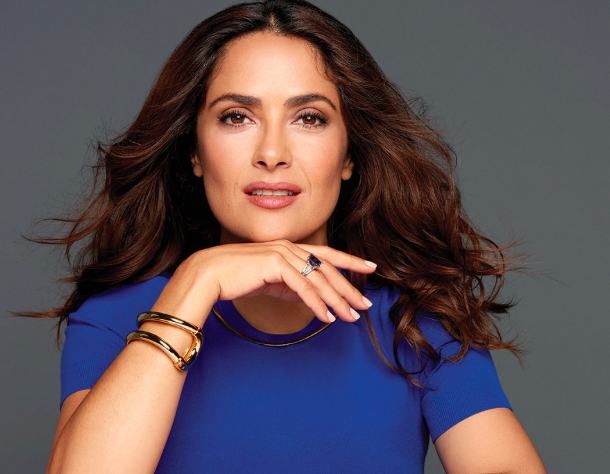 Hayek and her fellow honorees have agreed to work as ambassadors for the foundation’s arts projects, said The Hollywood Reporter. Hayek was joined by husband Francois-Henri Pinault and daughter Valentina. “Important values can be transmitted by celebrities,” said Lorena Bianchetti, an organizer of the event.